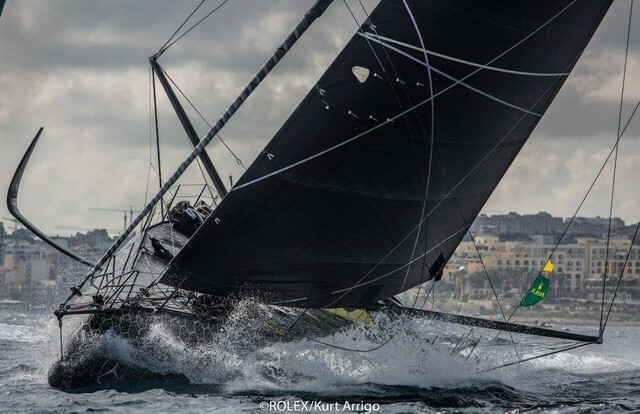 George David's American Maxi, Rambler 88, has made the best of the light breeze dominating the first 24 hours of the 38th*Rolex Middle Sea Race to build a commanding lead over her rivals. Pressing on through the sticky conditions, Rambler had reached Stromboli this afternoon with the majority of the fleet still to pass through the Messina Strait. While the going has been slow so far, gale force winds are still forecast to arrive from the northwest during the small hours of Monday morning. This threatened increase will play a large part in determining the race outcome. By the end of the first night at sea, the 2017 Rolex Middle Sea Race fleet had passed Capo Passero, on the south eastern corner of Sicily. As expected, the moderate easterly wind enjoyed at the start faded yesterday evening and yachts struggled to maintain their early brisk pace. Headway during hours of darkness proved difficult, testing patience at skill. At Capo Passero, the overall leader under IRC was Dieter Schön's German Maxi72 Momo. 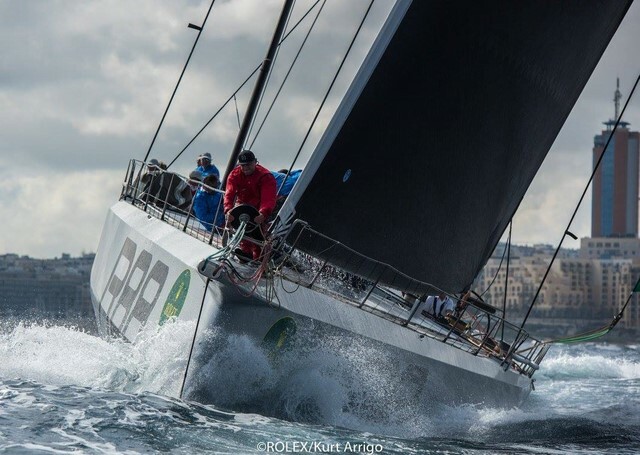 Vadim Yakimenko's Russian TP52 Freccia Rossa was leading IRC Two, Eric Daher's French Ker 46 Tonnerre de Glen was leading IRC Three, Jamie Sammut's Maltese Solaris 42 Unica was leading IRC Five, and Igor Rytov's Russian JPK 1080 Bogatyr was leading IRC 6. The standings will undoubtedly change as the yachts continue to play snakes and ladders before exiting the narrow confine of the Messina Strait. The majority of the fleet in the Rolex Middle Sea Race is expected to pass through the strait by the end of today. Overnight, strong to gale-force winds will build from the northwest. For those on the passage from Stromboli to Favignana, the wind will be on the nose and leave crews facing a tough beat across the top of Sicily. Once around the next corner, the course will open onto a potentially wild sleigh-ride. 40 knots of wind and a significant sea state are expected to push the yachts south to Lampedusa and the eventual turn back towards Malta. 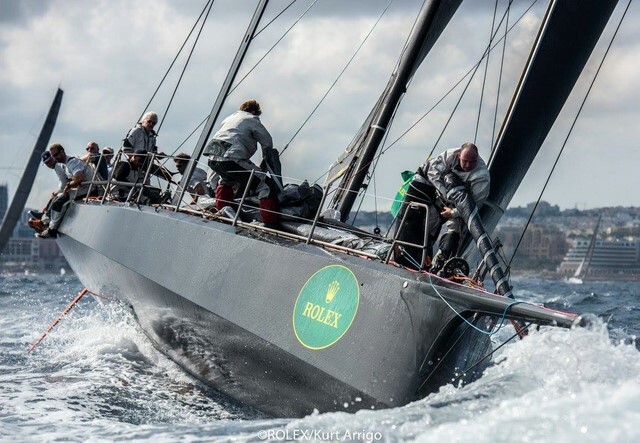 104 yachts started the Rolex Middle Sea Race. So far, six boats have officially retired:* Proteus (USA), Hispaniola (LTU), Jings! (GBR) Vamos Adelante (ITA), Wind (RUS), Xpresso (MLT). All crew are safe and well. 2017 Rolex Middle Race | Start: 11:00 CEST, 21 October, 2017. 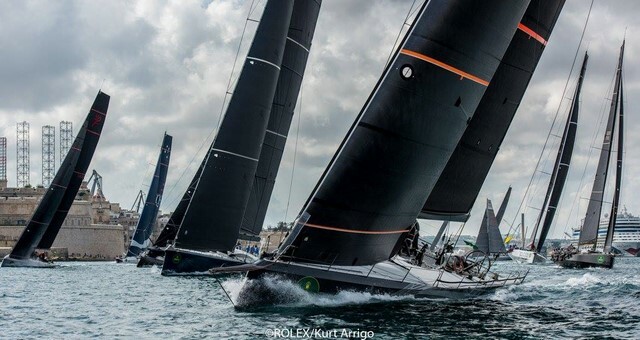 104 yachts from 30 different nations have started the 38th edition of the Rolex Middle Sea Race. Watched by thousands of well-wishers lining the historic Grand Harbour and thousands more via a live link, the 606-mile Mediterranean classic offshore race got off on time, at 11.00CEST this morning. Over a thousand sailors are taking part in the Rolex Middle Sea Race, sailing in a huge variety of yachts. 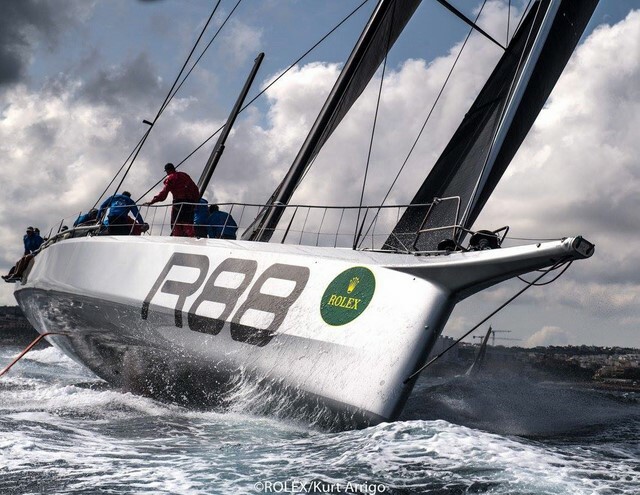 For the custom-built ocean-going maxis, such as Rambler 88, Leopard 3 and CQS, a 48-hour race is possible, threatening the race record that has stood for ten years. For the Corinthian sailors, just finishing the race is the first goal and, looking at the feisty weather forecast later in the race, there will be many stories to tell. Since the first edition in 1968, this race has always been full of surprises. The overall winner will be decided by IRC time correction (handicap rating) and, this year, the field appears wide open with changes of fortune expected throughout the fleet. The start of the Rolex Middle Sea Race is nothing short of spectacular. Flash, smoke and noise from the 32-pounder artillery pieces at the Saluting Battery, herald each start and the ancient bastions of Valletta resonate with the power. Grand Harbour is transformed into a gladiatorial arena and there is action right from the off as yachts jostle for position. Several boats were caught out, misjudged their timing in the rush to get underway and were forced to restart. Four hours after the start the fleet was well on its way to Capo Passero, the most southeastern point of Sicily, about 55 miles from Malta. Rambler 88 was leading and expected to make the Sicilian Coast, just six hours after the start. The majority of the fleet are expected to follow around dusk. For the first night, fickle winds and tricky currents will form the first complex conundrum of the course, the situation complicated by Mount Etna, the first volcano of the course, which has its own weather system. The goal in this period of the race is to make good speed to the Messina Strait, the fabled two-mile channel separating Sicily from the Italian mainland.